Fear not: the Crazy Kitchen hasn't gone anywhere. The interactive display, which tricks the senses and has long (it dates from 1967!) 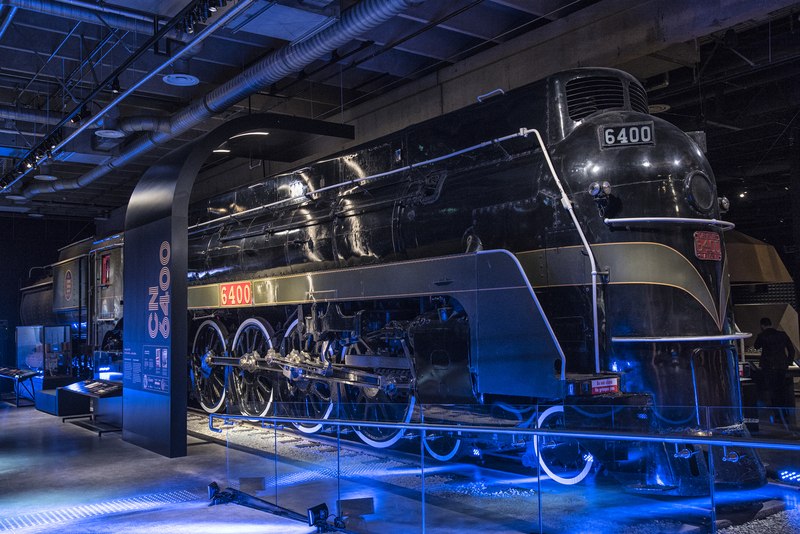 been a favourite exhibit at the Canada Science and Technology Museum in Ottawa, is still here — albeit freshened up — following an $80 million, 26-month renovation that positions the museum to inspire a new generation. The revamped museum, which was closed in September 2014 after unacceptable levels of airborne mould were discovered, opens to the public today. The curatorial team took great advantage of the closure to both reimagine exhibits and redesign the facility's layout. It now features 11 new main exhibits in 7,400 square metres, with nearly 3,000 artifacts on display. "Our vision today is founded on a sense of play and discovery and collaboration, taking risks and learning from failure," says Christina Tessier, the museum's director general. The ZOOOM Zone is the museum's first-ever exhibit designed specifically for kids eight and younger. Among its highlights: an interactive gear wall, a play structure, a light-up sound console and a vehicle-building area with test ramps. One of the new exhibits, Sound by Design boasts a collection of artifacts showcasing innovations in sound technology. Play a theremin or a synthesizer, or try your hand at being a DJ, spinning oversized records. Then, experience the sound of silence in the Quiet Cube, a room specially designed to eliminate echos. Like the Crazy Kitchen, the full-size locomotives were a highlight of the museum before its temporary closure. And they still are, with some amazing new wrinkles, such as the opportunity to climb into a virtual reality cab and experience life as an engineer. In this exhibit, visitors get the chance to explore how people transform natural resources into energy and goods. Of particular note are an interactive display of the Canadian-designed (though yet to be perfected) Tokamak Fusion Reactor; the glacier display, which boasts stunning imagery of ice; and the 3D virtual mine, which allows you to explore underground tunnels. Test a concussion sensor on a hockey helment, keep pace with a pacemaker, marvel at the biometric gear of Olympians and imagine moving in the "Newtsuit," the legendary Canadian-made deep-water diving system used by astronauts for spacewalk training in this great exhibit featuring old and new technology we wear.